Compatible with EVABarrier 8 mm OD Tubing (D1717 & D1718). 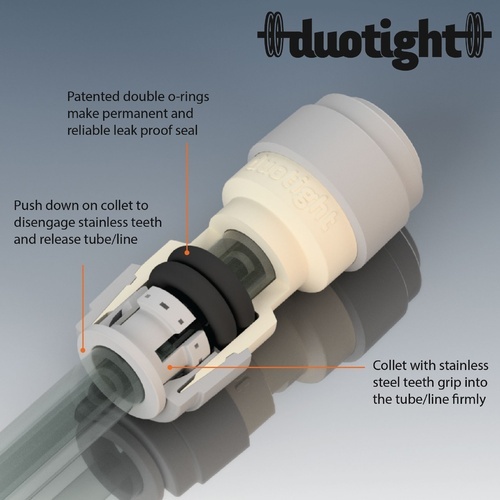 This Duotight fitting with 1/4" MPT is a great option for connecting gas line to regulators and manifolds that have 1/4" FPT. Comes with seated O-ring. Will this work with the Taprite 1060 Regulator? BEST ANSWER: Hi Paul - As long as the regulator has 1/4" FPT, it will be compatible.